Chabahar Port Inauguration: The India-Iran deal to develop the port was signed in May last year. New Delhi: The first phase of a strategic Iranian port -- which India is developing to open a trade route to Afghanistan and central Asia, bypassing Pakistan -- was inaugurated today. The Chabahar port is crucial as Pakistan does not allow India to send goods to Iran and Afghanistan through its territory by land. It is also expected to act as a counter to the Gwadar port in Pakistan, barely 100 km away, which is being developed by China. India has committed to the $500 million to the project. The port is expected to be operational by the end of 2018, Union Minister Nitin Gadkari had said. 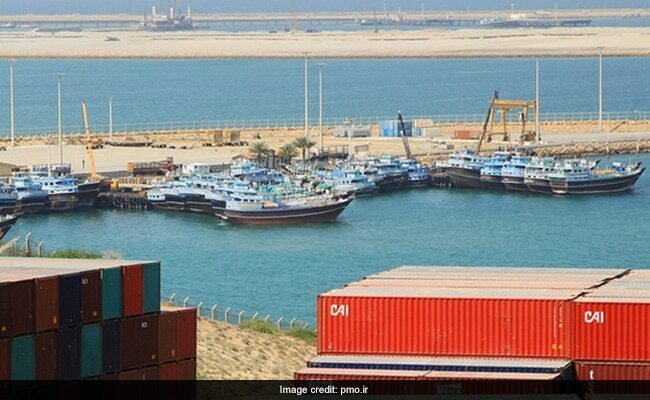 The first phase of the Chabahar Port -- located in the southeastern province of Sistan-Balochistan in Iran -- aims to connect with Iran, Afghanistan and Central Asian countries. 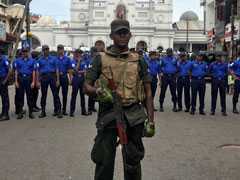 It can be easily accessed from India's western coast, bypassing Pakistan. Under the trilateral transit and transport agreement during Prime Minister Narendra Modi's visit to Tehran in May 2016, the Chabahar port will the gateway to a Transit and Transport Corridor between India, Iran and Afghanistan and allow for multi-modal transport of goods and passengers. New Delhi has already completed the Zaranj-Delaram road in Afghanistan that connects the Iranian border with all four major Afghan cities. India will also help build a $1.6 billion rail line to Zahedan in Iran, which will eventually connect with Mashad in north and provide access to Turkmenistan as well as northern Afghanistan through the Bafq-Mashad route. Minister of State for Shipping Masukh Mandviya represented India at the inauguration, conducted by Iranian President Hassan Rouhani. On Saturday, Foreign Minister Sushma Swaraj made a stopover at Tehran on her way back from Russia and met her Iranian counterpart to discuss the project. "It also shows the importance of the port in the development of the region," Mr Zarif said. In October, India had sent its first shipment of wheat to Afghanistan by sea through Chabahar. The agreement between India and Iran was signed in May last year. India will develop and operate two berths in the first phase of the port. Weeks before today's inauguration, a top Afghan leader said his country would no longer need to depend on Pakistan for transit trade. "Afghanistan used to rely only on one transit road, which was through Karachi. That is not the case anymore. (Now) it's (also) through Chabahar," Afghan Chief Executive Abdullah Abdullah said. Islamabad says India is trying to use Afghanistan as a base to destabilise Pakistan, and has long blocked India from conducting bilateral trade with Afghanistan using its territory as transit.